Introducing NanoDIY! Create your own style with this high quality, low cost, fast, and simple system. With NanoDIY you can create 4 color designs with no weeding, no layering, masking, no screens, and no expensive equipment. 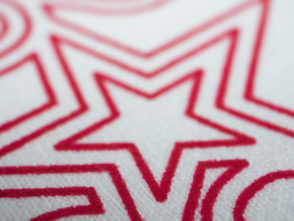 Just print your design in reverse using the special inks on the NanoDIY paper, coat it with the stabilizer powder, and you’ve got a design ready to press onto cotton, uncoated polyester, cotton blends, and even wood for one of a kind decor. 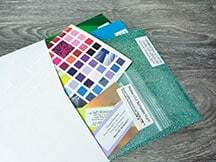 PLEASE NOTE: The newer models are made specifically to prevent you from using special inks, so avoid buying these types of printers, such as the ET-2700, ET-2750, ET-3750, ET-4750, ET-7700, and ET-7750 (pictured below). This starter kit has all the supplies to start making fast & easy transfers. 8.5″ x 11″ paper, funnels to fill up the ink tanks, CMYK inks, regular stabilizer, gold stabilizer, and silver stabilizer. 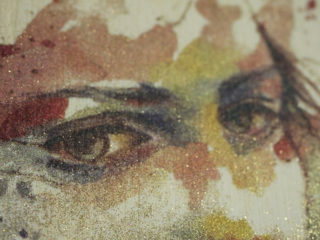 Gold stabilizer up close pressed onto wood. 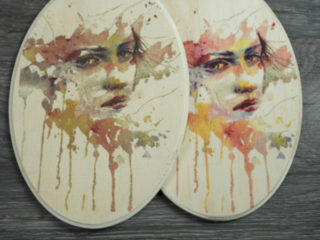 This gives a beautiful effect to your art pressed onto wood. With NanoDIY, you can create amazing ombre effects so easily.